Sandy and Charles for their NYC wedding/elopement wanted to have an intimate ceremony at the Heights Casino with a few family members but before we had the chance to shoot around Brooklyn Heights and the promenade. The atmosphere was just beautiful with the trees in full Autumn colors. 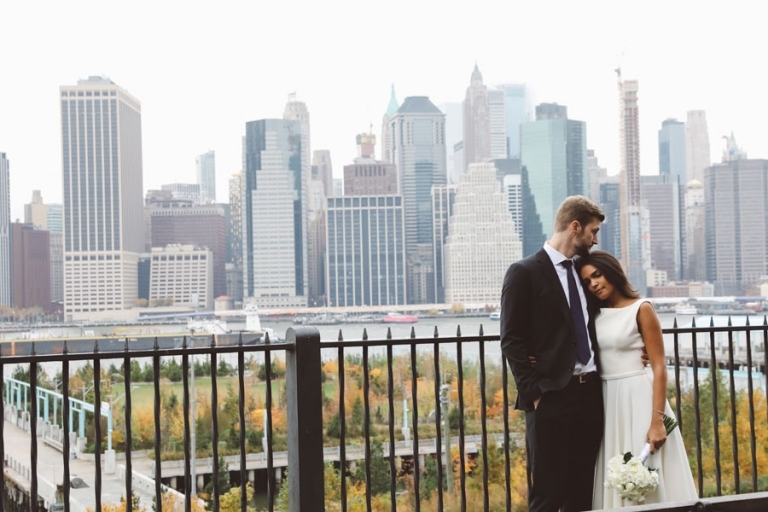 Susi and Richard wanted an intimate City Hall ceremony and then have some photos around great graffiti walls in Dumbo plus photos around the Brooklyn Bridge Park. 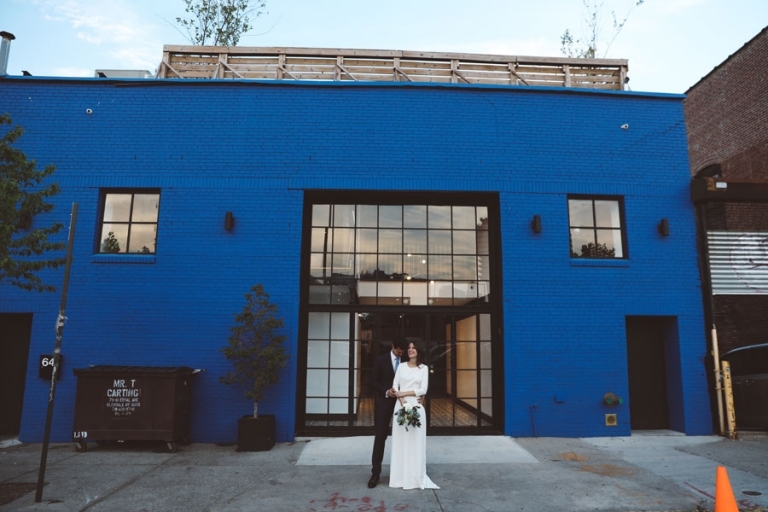 We were delighted to find we share a passion for bright neon colors :) Check out some highlights from their day in this post! 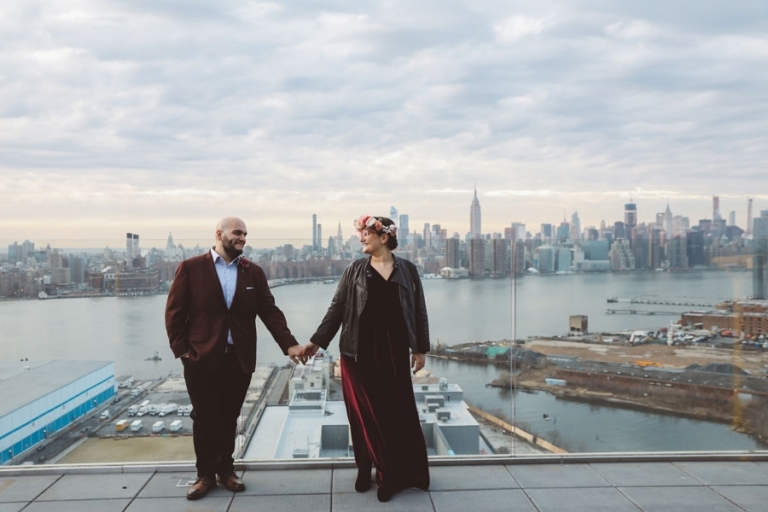 Elanor and Joel were looking for an easygoing elopement in Dumbo with views of the Brooklyn Bridge and the Manhattan skyline. 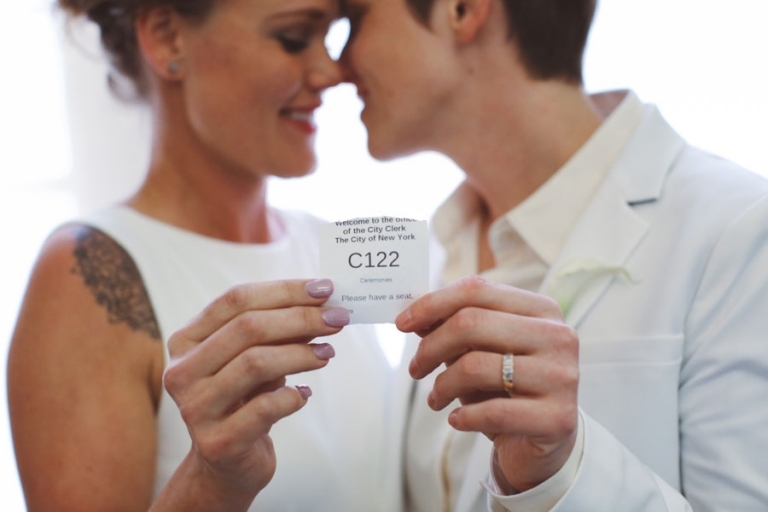 They live in Finland and are expecting a baby so their wedding was a really special event for them and we were happy to officiate the ceremony and capture photos of their day.